Texas is a state deeply rooted in cattle production — topping the charts in the sheer number of cattle and calves, as well as the number of feedlots and cattle finished here. Its $10.5 billion annual economic impact makes the cattle industry Texas’ No. 1 source of agricultural income. While the practice of ranching is steeped in tradition, the Texas cattle industry has made great strides in adapting to economic and environmental changes. Improved genetics, animal health programs and providing for new consumer demands like grass-fed, all-natural and organic beef have ensured the old saying, “cattle is king,” remains true in Texas. The demand for Texas beef spans the globe, with an increasingly strong market in Asian countries. The top five destinations for U.S. beef in 2013 were Japan, Canada, Hong Kong, Mexico and South Korea. Total U.S. beef exports in 2013 were valued at $5.4 billion with these top five countries accounting for 81 percent of the total. Despite obstacles such as drought and wildfires, the Texas beef industry remains an international powerhouse. Texas ranchers uphold the legacy of beef production in the Lone Star State and continue to pave the way for future success. 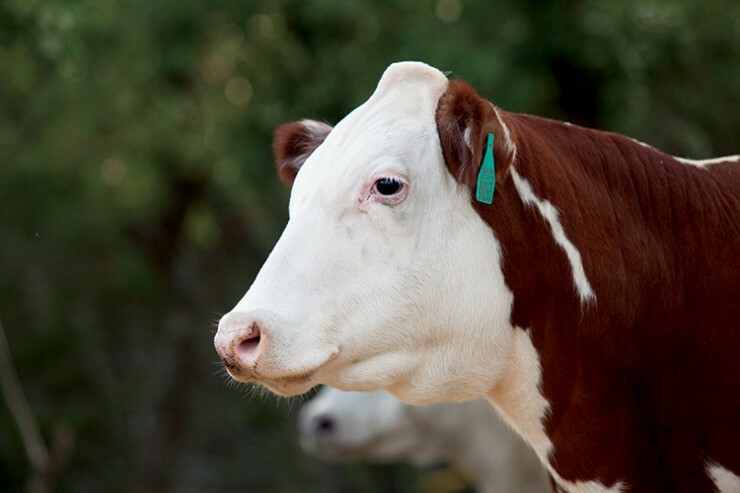 Estimated at 10.9 million, Texas has the largest population of cattle in the United States. Some breeds, like Beefmaster and Santa Gertrudis, are original to Texas. Many breeds of cattle thrive in the Lone Star State. In addition to the list here, some notable breeds include Charolais, Red Angus, Red Brangus, Shorthorn, Jersey Senepol, Simbrah, Brown Swiss, Salers and Limousin. Solid black cattle, the breed arose in Scotland and is valued for adaptability, good health and nicely marbled meat. A Texas original, Beefmaster are a favorite among ranchers. Beefmaster is a cross of Braham, Hereford and Shorthorn. Known for its hump and floppy ears, Brahman came to the U.S. from India. They are the most popular cattle in the world. From Switzerland, Simmental produce a naturally lean beef. They are considered exceptionally easy calvers. From England, Hereford is an ancient breed. Red in color, they are fast-growing cattle with good beef quality. Developed to have the superior traits of both Angus and Brahman, Brangus do well in heat and humidity, as well as colder climates. Recognizable by their markings, Holsteins are known as a dairy cow and have the world’s highest milk productions. 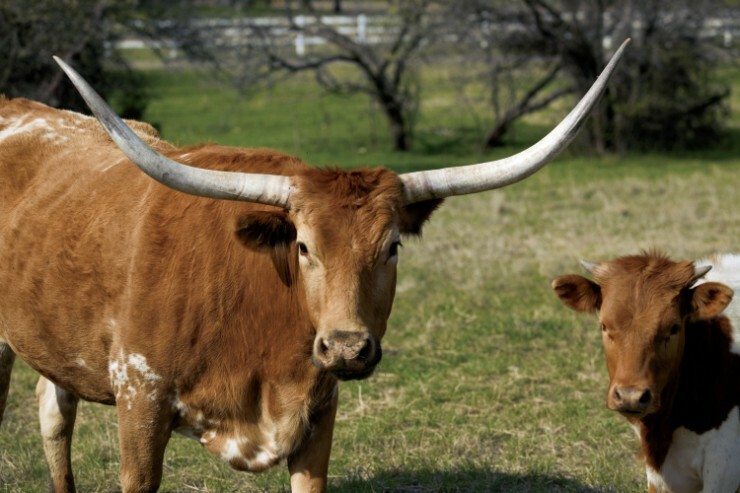 With horns that can span 120 inches, Longhorns produce beef lower in fat and cholesterol than from most other breeds.